On the manufacturing line, the struggle to test for and address leaks that lead to faulty parts and warranty claims is nothing new — but rising expectations for product quality and reliability are putting leak tests to the test. How can quality engineers meet Industry 4.0 requirements for emission control, performance and reliability while coping with increased production volumes that demand shortened cycle times? Make the test better with data. 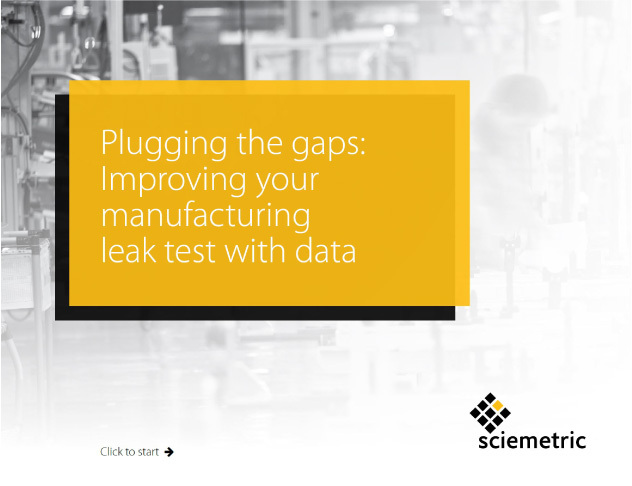 Fill out the form to access our free e-book and learn other ways you can make significant improvements to your leak test right now, using data analytics tools.